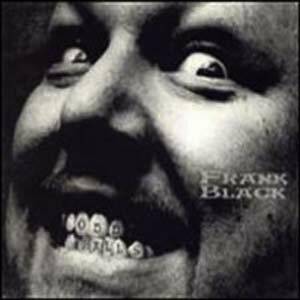 Frank Black, Oddballs – Released in 2000, this one is a collection of B-sides and other material that hadn’t been properly released on an album. The name reflects both the nature of the album and the title of one of its best songs. The Wikipedia article is very brief, but includes Frank’s own influences for each song. And that cover is a little disturbing, isn’t it? Oddball – A pretty little song with some great guitar from Lyle Workman. I also appreciate when Frank gets conversational in the middle of a song, in this case with the spoken line, “Okay, now I’d like to talk to all of you about math.” Mono Puff, the side project of John Flansburgh of They Might Be Giants, covered this one. Their cover is pretty straight, right down to Workman playing on it, although Flans doesn’t attempt Frank’s hisses and growls. Village of the Sun – I remember a review citing the opening line “Well, I’ve been hanging downside-up” as a rather lazy attempt at Frank to imitate some of his earlier wordplay. I like the song, but I think it kind of comes off as needing a little more polishing; it’s very rambling. Then again, that’s kind of what makes it interesting. Baby That’s Art – It doesn’t have a whole lot to say, but I like the guitar and the way Frank sings it. That’s art, I guess. At the End of the World – While it’s probably not what you’d think from the title, this song is about John Candy’s death from a heart attack at age forty-three, and how it affected Frank. Apparently its initial release as a B-side was only about a month after the death. It mentions Candy’s place of death (Durango, Mexico), and how the comedian became famous through SCTV. I like the structure, as the number starts out fast and noisy, then becomes slow and sad for most of its running time, then goes back to the noise for the very end. Can I Get a Witness? – Frank seems to have a fondness for the titular phrase, best known from gospel music. It’s not one of my favorites, but it’s pretty good. Announcement – While I can’t decode all of the lyrics, it’s partially about just hanging out near a beach and trying to remember something. There’s a thematic similarity to “So. Bay,” and it might well take place in the same area. The last few minutes are all instrumental. Hate Me – A pissed-off sort of song complaining about dress codes at bars and clubs, inspired by one specific incident where he wasn’t let in because of how he looked. Remake/Remodel – Originally by Roxy Music, a band I know little about. Frank’s arrangement is raw and sparse compared to the original, lacking the piano and saxophone. I think I actually prefer the Roxy Music version; it’s more eclectic in its sound. Frank does a good job singing it, though. He’s said he was trying to sound like Doug Sahm. The repeated lyric “CPL 593H” was an old license plate belonging to Bryan Ferry, who after selling it once saw an attractive woman get into it. The song is about wanting to approach the woman, but being too nervous. Everybody Got the Beat – A short and simple song with a catchy riff that doesn’t let up. The lyrics seem to be about an unpopular person who comforts himself with music in his head, something with which I can definitely identify. Jumping Beans – A fun song that gets a little psychedelic in sound at times, and is largely sung in a low-key way. Frank cited Lou Reed as an influence on it. Just a Little – A very faithful cover of a song by a 1960s British band called the Beau Brummels. Actually, if I hadn’t found out when the band was active, I would have thought it was from the fifties. Frank does a great job with this one; it sounds quite emotional. You Never Heard About Me – Another pretty good one that tends to get lost in the mix, at least for me. Man of Steel – Although the title is a reference to Superman, the lyrics return to Frank’s theme of driving around at night and staring up at the stars while feeling lonely. It’s very forlorn, a mood I think really works for Frank. I guess it actually could be about Superman, as he’s an alien who lost his home world. It also appears on a compilation album of songs inspired by The X-Files, which makes sense. This entry was posted in Albums, Frank Black, Music and tagged beau brummels, bryan ferry, john candy, john flansburgh, lyle workman, mono puff, oddballs, roxy music, superman, the x-files. Bookmark the permalink.